It's extremely easy to set up--on its own or as part of a multi-room system. Improved components and Trueplay add up to an excellent sounding, full-bodied speaker. The design includes intuitive touch controls and an understated aesthetic. Android users need not apply; the app is iOS only. The PLAY:5 is expensive, especially if you want to pair two of them in a given room. You can't wall mount this speaker. 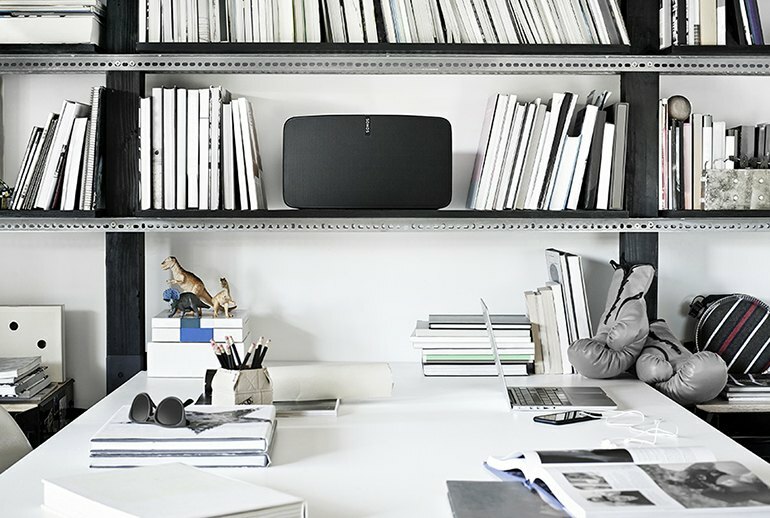 The PLAY:5 is the largest speaker in the Sonos family, the sum of six custom drivers and a dedicated on-board amplifier. Don't confuse it with the first-generation PLAY:5, because this one is completely redesigned. 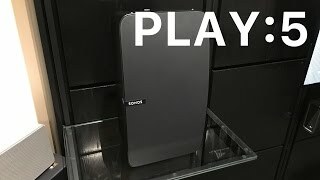 Of course, no speaker in the Sonos family is ever just a speaker; it's part of Sonos' tightly integrated whole-home sound system. 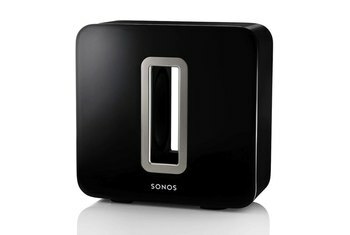 It connects with other components using its own wireless mesh network from which you can play your own music collection and streaming services using a Sonos app. 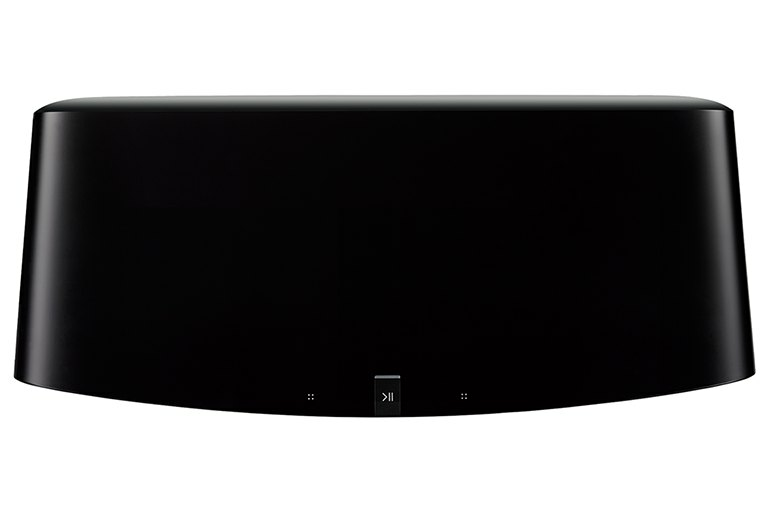 The new PLAY:5 has touch-sensitive controls, is designed to be positioned in both vertical and horizontal configurations, and has a wired input in addition to the usual wireless connectivity. It takes advantage of Sonos' new Trueplay calibration system, which optimizes the speaker for whatever room it's in using the microphone on your phone. When it comes to sound, even a quick listen is enough to tell you it’s not just the design that’s seen an overhaul. Not one driver from the original has been reused here, jumping from a five-driver set up to six, with six matching Class D amplifers and almost three times the acoustic horsepower. Whip off the grill - actually, don’t do that - and what you will find is an extra speaker from what was in the original Play:5. There is now an array of three 10cm mid-woofers on the bottom of the speaker and two 20mm tweeters above these. Rounding things off is a 22mm tweeter in the middle of the grill. There is a great dynamic range and some serious volume from the Play:5 - far bigger than most rooms it is likely to be placed in. Detail is clear even at lower volumes so you don't lose anything by not having the speaker on at full blast, but it isn't lost at higher volumes either. No need to worry about any dodgy touch controls here – they’re immediately responsive with subtle tones that sound as your touch is registered. They’ll even change functionality automatically depending on orientation, to whichever order makes the most sense. Listening to what I think is one of the best live rock recordings ever—the Talking Heads’ Stop Making Sense—I felt Chris Frantz’s kick drum and Tina Weymouth’s bass line (from “Life During Wartime”) deep in my chest as much as heard it with my ears. Those long-throw woofers really move a lot of air. It’s loud too, very loud. 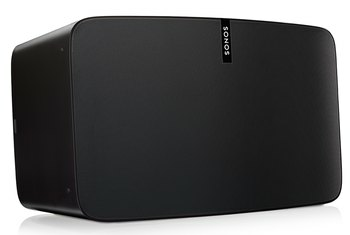 This black box can easily fill a large room with sound, making it perfect for parties, and the audio doesn’t get distorted when it’s pumped up. 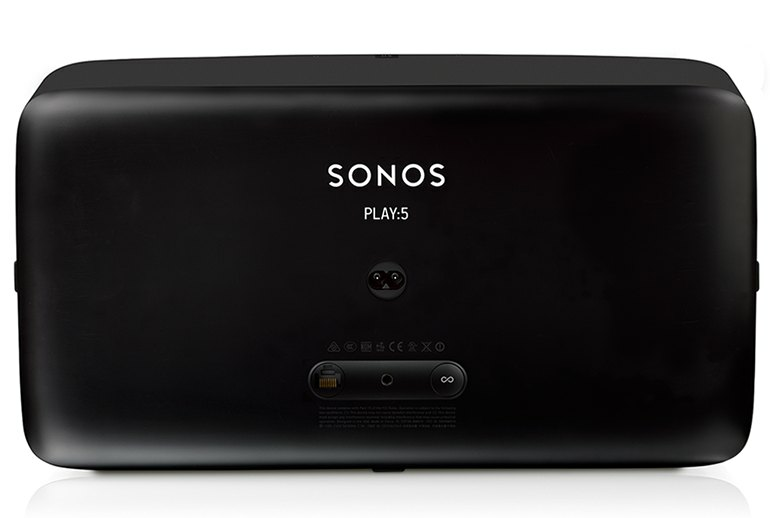 The new-and-improved Sonos Play:5 is a Play:5 in name only - it's been completely re-engineered by Sonos. No part has been left the same. Trueplay does add a real clarity to music by removing or reducing frequencies -- especially low notes -- that reverberate oddly due to obstructions or room acoustics. But it's not perfect. Tuning issues aside, it's a bit overzealous with bass reduction, which can ruin the balance of tracks with a strong focus on the low end. While the new Play:5 is more expensive at $500 -- and perhaps a little out of reach for price-conscious consumers -- it's a big step forward in terms of design and performance. 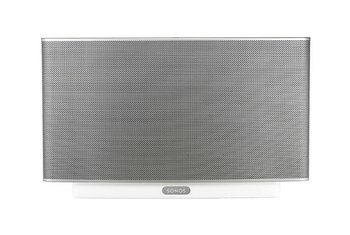 It may not fully impress audiophiles, but it is the best-sounding Sonos speaker yet. Of course, the specs and build of the speaker are only part of the experience. What really makes a Sonos speaker a premium product is the software. The company’s controller software runs on any phone or computer, and it lets you stream different audio sources to multiple locations around your home all at once. The Play: 5 sounds good, but not great. 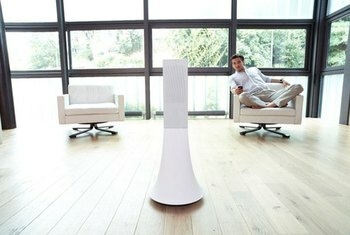 While the mids are rich and full, the speaker lacks the bass response of the top wireless speakers. In our testing, when we listened to "Perth" by Bon Iver, the bass runs on the breakdown were quieter than they should have been. 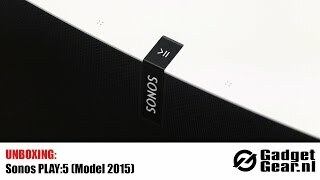 For the moment, Android users are out of luck - Sonos tells me that's because the variation in microphone hardware across OEMs makes it tricky to standardize - but since you only need to run Trueplay once per location they could feasibly invite an iPhone owner to dinner and then borrow their handset for the setup process. The only way to play music is through the Sonos app. This means that if you want to use a streaming music service, it has to play nice with Sonos-and you have to use it through the app. Sonos supports basically everything you could want, except Apple Music. The company says Apple Music is in the works, though. You can tell that Sonos has been doing this wireless speaker game for a while now. The whole experience of setting up the Play:5 and using it is seamless. 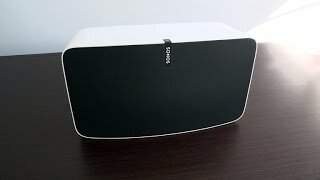 $499 might sound steep, but when you consider that it's the best-sounding all-in-one speaker system I've ever had the pleasure of listening to—and also the best wireless streaming speaker system—it's totally reasonable. You'd have to spend a lot more money to get something that sounds dramatically better. 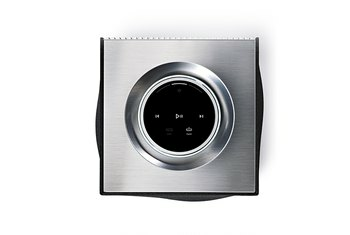 While I don’t mind the loss of the extra Ethernet jack for connecting to another speaker – WiFi is reliable enough on the new Play:5 that I never thought to use a physical connection – I missed the headphone jack; I often plug in when watching movies late at night so as to not wake my roommates.